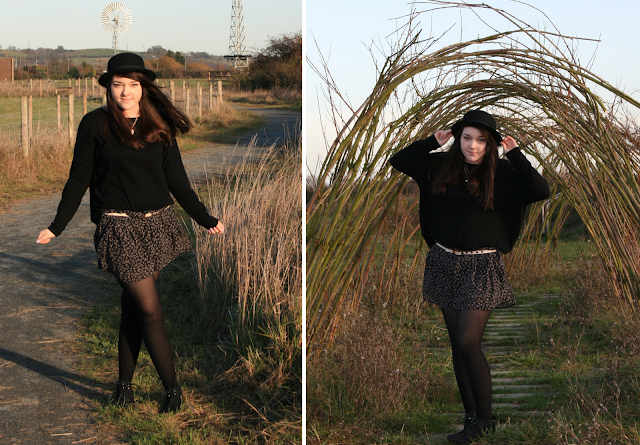 What I wore #005 // oh little butterfly | S J M W E L L - Fashion, Beauty & Lifestyle blog. Sorry you can't really see the print on the short's, I was actually freezing when taking these photo's and totally forgot, It's butterflies, i'll have to take a photo and post it soon! I have two of these jumper's now, in different colour's. I might buy a few more in the rest of the colour's... i love them!